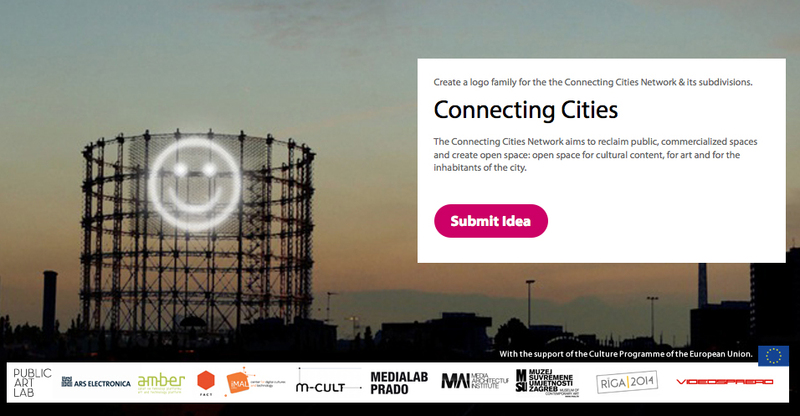 "The European Urban Media Network for Connecting Cities is a project initiated by Public Art Lab in co–operation with Ars Electronica GmbH Linz, BIS Body Process Arts Association Istanbul, FACT Liverpool, iMAL Brussels, m–cult Helsinki, Medialab Prado Madrid, Media Architecture Institute Wien, Museum of Contemporary Art Zagreb, Riga 2014, Videospread Marseille, in association with University of Aarhus, Marseille–Provence 2013 and MUTEK Montréal and funded by the European Union. Our aim is to create a networked infrastructure of urban media facades to circulate artistic and socio–cultural content throughout the whole of Europe. Media facades and digital big screens provide new opportunities for communication in the public space. Through modern Information and communication technologies (ICT), they are membranes between the digital and the urban spaces. All over the world we can evidence an increase of urban screens, media facades and media technologies like mobile phones: 5,9 of 7 billion people have meanwhile access to the internet. What is the potential of urban media besides the commercial usage for advertisement? How can they catalyse communication and awareness of our environments and contribute to a lively society? How can we create an exchange between local scenes and neighbourhoods thus giving a voice to the public audience? Which impact will they have for our global communities?" 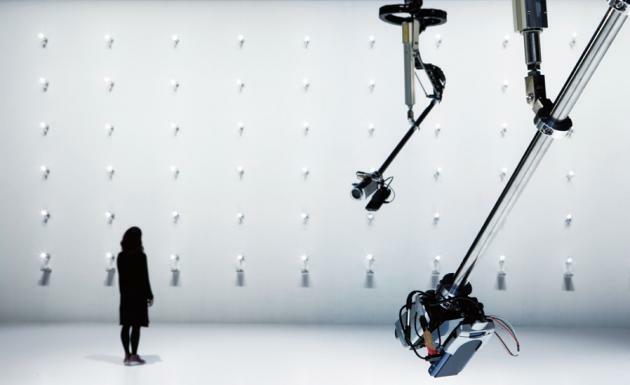 "Biofeedback art is recently emerged interactive art form which applies technologies to capture biological changes of the body and create an artistic meaning through them. Biofeedback interfaces measures EEG, galvanic skin response, facial analysis, temperature analysis, eye–tracking or hearth rate in order to monitor the users bio–philosophical and produce a dynamic psychological/behavioural/emotion–based analysis of the person. The artistic meaning production based on the applications of these qualities which often deals with embodiment, enaction, body awareness, immersion or active/passive bodily engagement. There are a variety of tools can be used by artists which are usually divided to contact (for example EEG) or non–contact (facial analysis through camera). The MediaArtTube Exhibition 1.0 presents a collection of engaging art works and experiments in this hot topic of media art." "Founded in 2000, LeCielEstBleu specializes in the creation of highly interactive, original interfaces and applications. Their work has received numerous international awards and has been exhibited throughout the world. They are best known for PuppetTool, an experimental animation tool; SetSearch, a visual search engine; and La Pâté à Son [Sound Dough], a generative musical composition tool and sound toy recently exhibited at Ars Electronica. LeCielEstBleu's principal artists are Frédéric Durieu (code), Kristine Malden (media), e Jean–Jacques Birgè (music)."